Conveniently nestled in the neighborhood setting of Cedar Hills. Located walking distance to the MAX line. 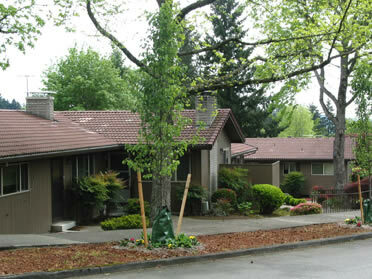 Close proximity to the Cedar Hills Recreation Center. Easy access to highways 217 and 26. Newly remodeled apartments and duplexes complete with new energy efficient windows, fireplace and built in microwave in select units . Experienced on-site management. Studio, one and two bedroom units.